QUEEN: W 67.5" | D 88" | H 68.5"
KING: W 83.5" | D 88" | H 68.5"
CAL KING: W 79.5" | D 92" | H 68.5"
SHIMMER "SLATE" VELVET WITH A MIRROR INLAY, BLACK NAILHEADS AND LEGS. Item sold as shown online. Bed ships in (2) boxes that weigh approximately 257-283 lbs. total. 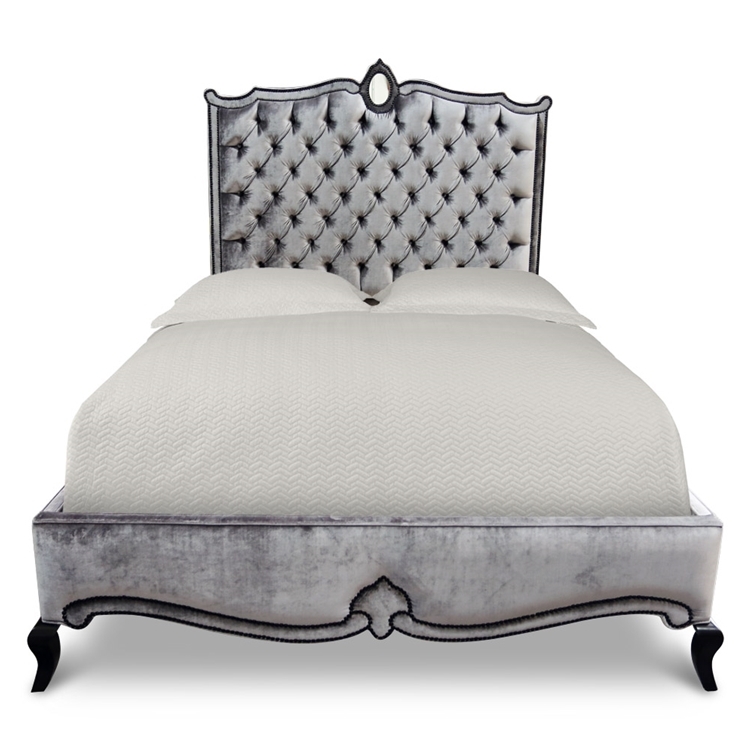 Email info@hautehousehome.com or call 323.256.2800 for custom options.